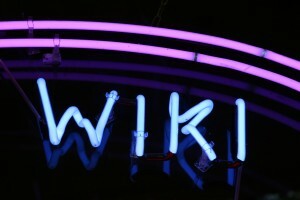 Is the “Wiki” Generation Too Wired For Its Good? This week we’re partnering with our pals who run the really-worth-your-time blog “VOA Student Union” with this question: what does the Internet generation think about all the wired devices that have come into our lives? It’s a question we’ve been returning to as we’ve read, and re-read, Ethan Wilkes’ provocative essay “Generation Wiki’s web savvy“, first published in the Guardian on December 14. Spurred by the controversy still swirling around the Wikileaks organization – and to some degree its just-as-controversial co-founder Julian Assange – Wilkes steps into the discussion with a bit of a generational slap-down. OK…perhaps. Arguably this generation does have different expectations of the boundaries between public and private. And certainly growing up in an increasingly networked world has changed everyone’s relationship with information – free or otherwise. But then again, perhaps not. You don’t need to have lived so many decades to know it’s the folly of youth to believe it is somehow unique and new, completely different from what came before and freed from the old strictures. And then, as youth slides into something else, the experiences and shared knowledge of those that came before take on greater resonance. Pretty heady stuff. All of which has lead both Digital Frontiers and VOA’s Student Union to pose this question: what devices rule your life? We expect many of the Student Union’s responses will come from “Generation Wiki.” We’re hoping here to hear from everyone – young or old, fresh or experienced, wired or not. In the beginning was the Word and the Word was with God and the was God. How will or can this ‘artificial brain’ interpret such reasoning?. your ‘inner-self’ i.e. your Spirit which has potential to travel (vibrate) at the speed of light. and might meet at a restaurant at the end universe. Remember – Bliss is for real and only a split second away . Seek and you will find. Entrance for mad men only – fee : your mind.